This specially designed fresh on fresh white concrete terrazzo mix, was made for the biggest Auchan supermarket in the world (15.800 m2) in Warsaw, Poland. We designed a special white wet in wet mix with white aggregates, for the new Auchan Supermarkets in Poland. Laying the topping fresh on fresh mix they lost no down time in the laying process. 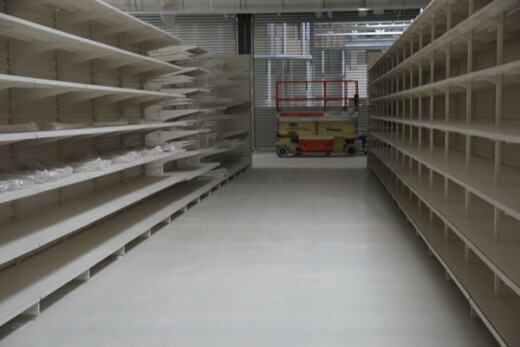 The concrete floor in the supermarket was laid in 10 days. After the curing the floor was ground to expose aggregates and thickened, polished and sealed to get an easy to clean and glossy finish. 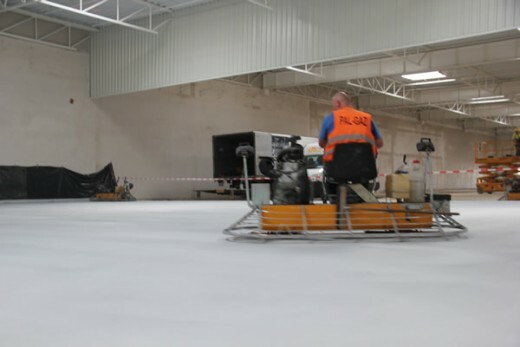 Ekoideal, one of the companies with the biggest grinding capacity in the world, were able to grind to expose aggregates and polish the 15.800 m2 floors in only 2 weeks. The final result is a very bright and functional terrazzo floor. 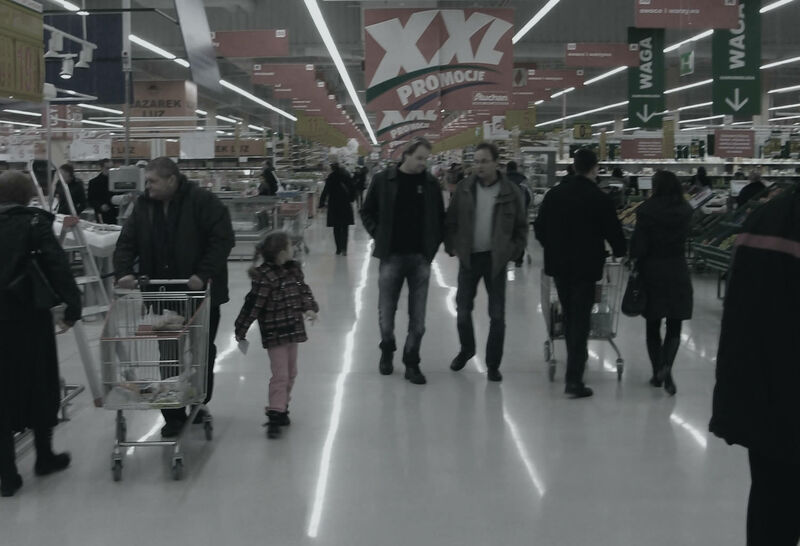 One of the things that made Auchan choose the same floor for the newly built supermarket is its functionality and the atmosphere it creates in the shop. 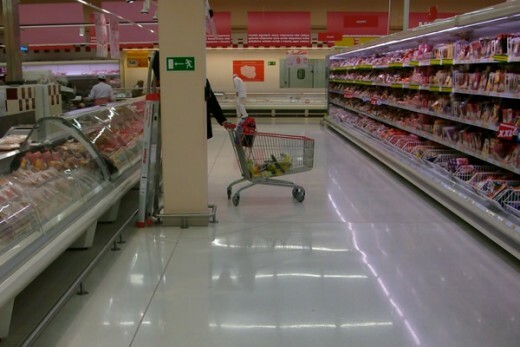 The shopping trolleys make no noise and the wheels do not get destroyed in the supermarket, since there are no tile joints. As a result maintainance costs are extremely low.